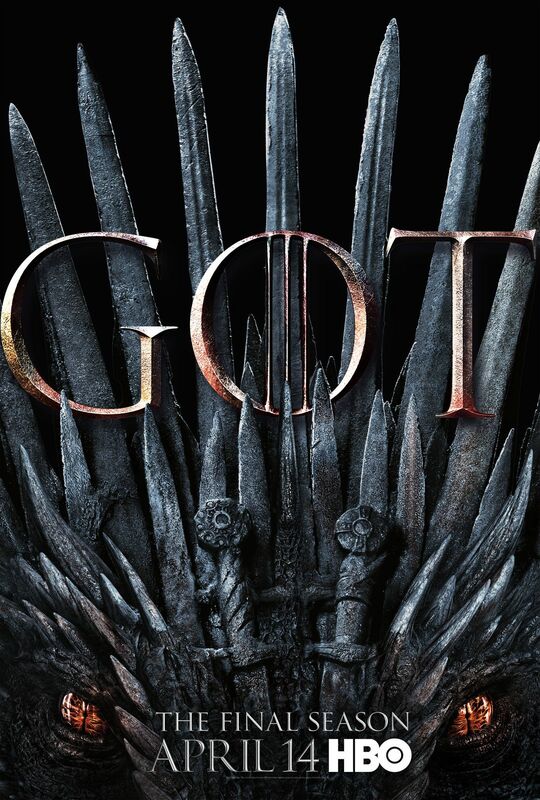 ‘Game of Thrones’: A Dragon Vies for the Throne in the Final Season Poster!! Check It Out!! | Welcome to Moviz Ark! 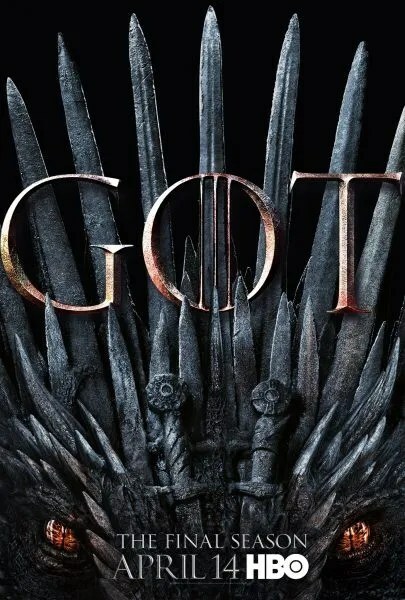 ‘Game of Thrones’: A Dragon Vies for the Throne in the Final Season Poster!! Check It Out!! HBO’s Game of Thrones may just be the last traditional water-cooler TV show to actually air week to week on a premium cable channel. As media channels, including HBO itself, move inevitably toward streaming content, and as attention spans and relevancy windows get shorter and shorter, we’re also moving away from signature series that take over just about every conversation in the real world. This is all to say that, when the final season of Game of Thrones arrives starting April 14th, it’s worth enjoying the time we get with it not only as a final send-off and conclusion to the story so far, but also as the end of an era. With that in mind, the final poster for the upcoming run of episodes has just been released. It features a fascinating fusion of a fiery-eyed dragon and the Iron Throne itself. Now that doesn’t mean that one of the dragon-riders, dragon-blooded, or … Dragonborn (?) will inherit the throne at the end of all things, but it doesn’t mean that they won’t, either. ← ‘The Secret Ingredients of Rocket Cola’: Zach Braff to Direct Epic Love Story!! !